There are plans to revive the abandoned Putrajaya rail link project and extend it to the Kajang MRT station, according to a report by The Star. It says that Putrajaya Holdings – the master developer of Malaysia’s administrative capital – is reconsidering the rail line because of heavy traffic in the area. “It started as a monorail project within Putrajaya. 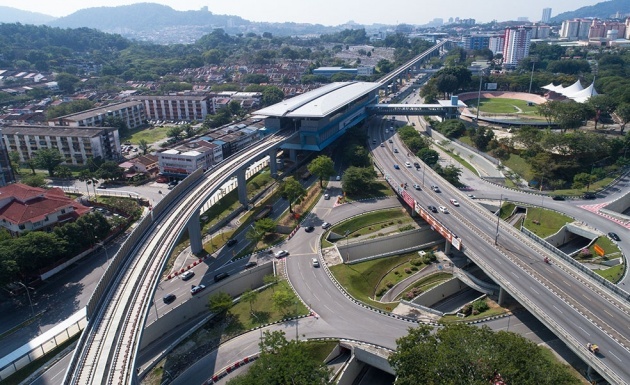 Now apart from monorail, the option is to make it a light rail transit (LRT) project with connectivity up to the MRT station in Kajang,” the report’s source said about the project, which has been abandoned since 2004. The line could probably be developed at a cost of about RM2 billion, sources said. “While it may take about six months to a year before the project development begins, I can confirm that the government wants to proceed with the project,” the source said, adding that development of the new rail link would be handled by Putrajaya Corp and the Federal Territories ministry. The said rail line would complete “a circle connecting Sungai Buloh, Kajang and Putrajaya,” it is said, with reference to the MRT Line 1 from Sungai Buloh to Kajang, and the MRT Line 2 from Sungai Buloh to Putrajaya. The latter is currently under construction. With such a rail line, commuters, especially civil servants, will be able to commute between Kajang and Putrajaya. A tram service was also mooted before. “It makes sense to develop the rail link, considering that the civil works and tunneling have been done but are left unused until now,” said the source. In October 2018, Putrajaya Corp president Datuk Dr Aminuddin Hassim said the stalled monorail project may be revived soon. “We are looking at the cost factor and whether it is reasonable to do it, taking into consideration the anticipated ridership,” he said, hinting that the line might be extended to Bangi, Kajang and even KL. The report points out that this “white elephant” project was first mooted during Tun Dr Mahathir Mohamad’s first stint as prime minister. The original plan was for an LRT system, before it was scaled down to a two-line monorail to match Putrajaya’s population density back then. After Tun Abdullah Ahmad Badawi took over as PM in 2004, he shelved the monorail project, citing a lack of funds. Lol! Putrajaya is so distant from Kajang and there is nothing in between. So they want to make an LRT just to connect with 2 stations?! 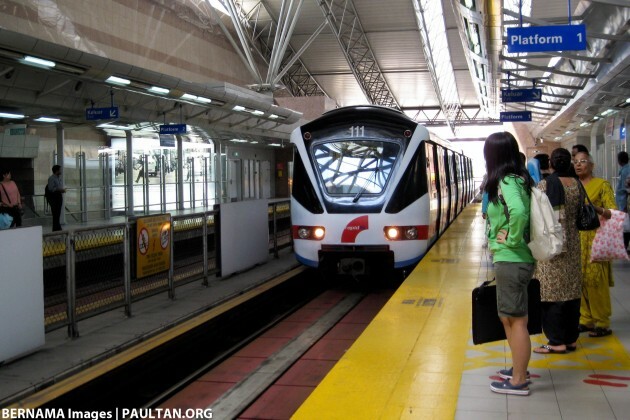 Why not make a shorter LRT to connect Putrajaya with the KLIA ERL station?! If you want to make a public transportation, make it viable and with potential for growth. Connecting just 2 distant stations isn’t it!!! I think bangi is a high density area, building a LRT there would make a good investment, plus, KLIA to Putrajaya already got ERL which largely used by tourists/foreigners, why need lrt which surely will be a subsidized transportation. Bangi was covered by the MRT3 ring system before it got scrapped. It needs a MRT line not a LRT or monorail that will be overloaded very quickly. As someone said, penny wise, pound foolish. Many civil servants travel between Kajang-Putrajaya work daily. My sister one of them. Kudos to PH government focused on helping the rakyat and developing the nation’s economy. Syabas! So the Government need to spend millions just to connect 2 locations only for the purpose to ease your sister’s travel? That doesn’t make any economic sense unless you happen to be the project crony. Are you? If you read the article above, the original proposal for this line was done by Tun Dr Mahathir while he was the PM under BN. Lady in green like damn menyampah waiting for the train…or maybe she got stood up? I would say no the putrajaya rail. I dont think the ridership profit can cover the operating cost. Connecting putrajaya to kajang is however,acceptable, given an acceptable cost to bear. RM2 billion is a huge amount of money. PLease be careful with the rakyat’s money. Does a RM20million flying drone project makes any sense? If not, what else are they doing that makes sense? Previous Post: 2020 Mercedes-Benz GLS – full-sized X7 rival leaked!